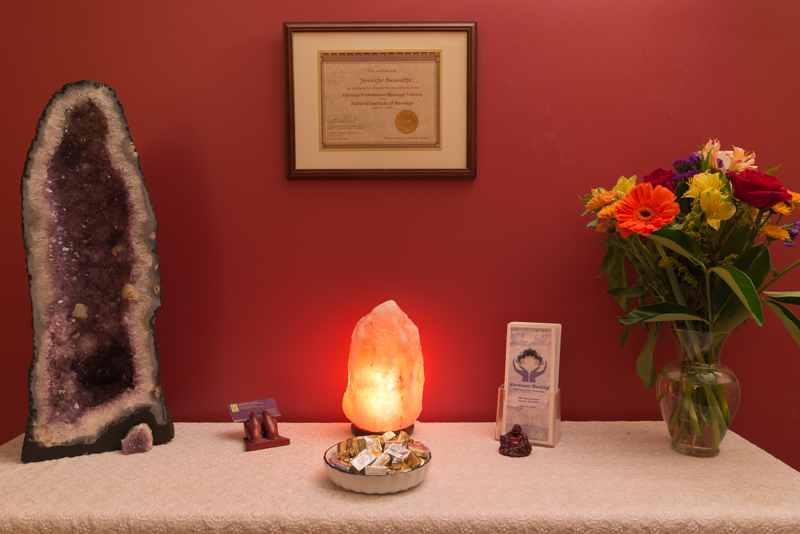 Harmonic Healing offers a unique experience unlike your typical massage. Are you tired, stressed, and sore? Maybe also tired of feeling worn out, stressed, and sore? I hear you and I am dedicated to supporting your transformation into a new reality filled with health and ease! Welcome to Harmonic Healing! My name is Jennifer Ouimette and I can help you reduce pain, manage stress, and learn how to optimally nourish the vessel of your body. I work with people who want to feel better. I meet you where you are, meaning I can offer you a simple nurturing massage to calm the nerves or if more is needed we can dive deep into your healing through massage, detox, and nutrition. If you are interested in shifting the terrain in which your health concerns reside, and want to learn more about healing holistically give me a call. I would love to share my work with you and see if we are a good match! Get 30 Minutes FREE... with purchase of 60 minute session! OR $15 Off An Hour Massage!